Despite being one of the most urgent societal tasks of the twenty-first century, public engagement with climate change remains low. Mounting research illustrates, however, that there is a significant and growing number of local citizens who are informed about climate change, appraise it as a current, visible, local and personal threat, and express concern – but they fail to act. What prevents them from translating their concern into more widespread and proactive coping action? Structural barriers such as a lack of financial capital and outdated policies are a necessary but insufficient explanation. New perspectives are needed that integrate the role of mental barriers and insights from cognitive psychology and neuroscience into climate adaptation debates and nudge thinking in new directions. Against this background, the present chapter firstly seeks to advance the discourse on coping by discussing (Lazarus and Folkman’s, Stress, appraisal, and coping. Springer, New York, 1984) prominent schematization of coping, appraisal and emotion from psychology. 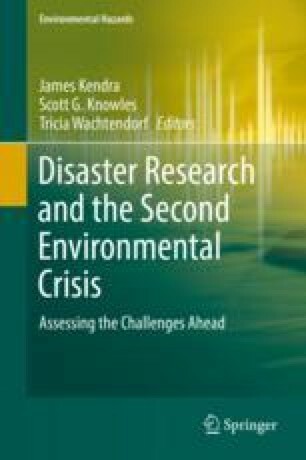 Key conceptual aspects are highlighted that help to explain the prevailing dissonance between concern and appropriate climate action. Secondly, based on these outlines and underpinned by my own empirical data on Arctic change in Norway, examples of coping in the broader field of mental barriers and their crucial relevance for practice are illustrated. The aim is to demonstrate the necessity and benefits for intellectual and policy systems of considering intrapsychic processes in climate adaptation. In this regard, selected policy considerations are discussed to indicate the possible scope of action and policy designs. The research investigations presented in this chapter were funded by the Fritz Thyssen Foundation and a grant by Frederik Paulsen/Institut Minos. I gratefully acknowledge their generous support. Furthermore, I am keen to express my thanks to all the interview partners from the Lofoten Islands for their participation and helpful cooperation in the research. Directorate of Fisheries. (2015). Data from register of fishermen. http://www.fiskeridir.no/English/Fisheries/Statistics/Fishermen-fishing-vessels-and-licenses. Last access: 10 Dec 2015. Gallup. (2015). Environment. http://www.gallup.com/poll/1615/Environment.aspx. Last access: 14 Dec 2015. Pew Research Center. (2015, November). Global concern about climate change, broad support for limiting emissions. http://www.pewglobal.org/2015/11/05/global-concern-about-climate-change-broad-support-for-limiting-emissions/. Last access: 14 Dec 2015.